Written by and used with permission from Animal Essentials. Millions of dogs throughout the world have bad breath and a build up of oral plaque--- a film of pathogenic bacteria on their teeth and gums that if left unchecked can lead to dental calculus and serious periodontal disease. Enter SeaDent for Dogs! Kelp has become very popular in recent years as an excellent source of essential trace minerals that all dogs need, including iodine, a mineral that supports healthy thyroid function, healthy skin and coat structure.Kelp is also a powerful antioxidant that helps protect cells throughout against the effects of oxidation and premature aging. Current studies show that a small daily dose of kelp can be very effective toward safely reducing and preventing dental plaque and tartar in dogs and most other animals, and it’s use is as simple as sprinkling a couple of pinches of briny flavored dry powder onto your dog’s food! How does SeaDent for Dogs work? Kelp contains a multitude of important trace minerals that support healthy teeth and gums, along with alginates; polysaccharide constituents that are known for their viscous properties. These polysaccharides carry antibacterial activities to the mouth, creating a thin, coating of film on the teeth and gums that helps to protect and support healthy bacterial balances in the mouth. Additionally, recent studies have shown that a strain of beneficial bacteria, called Bacillus lichenformis, resides on the surfaces of kelp. After entering the mouth the Bacillus lichenformis completes its lifecycle and releases an enzyme that breaks down the bacterial biofilm that causes dental plaque and the calculus we know as tartar. 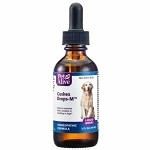 To assure that your dog is receiving full benefit, the protease enzyme that has been derived from Bacillus lichenformis has been included in our formula. The kelp we use in SeaDent for Dogs is the purest certified organic Laminaria digitata available. Harvested from the clear, cold waters off Norway, each batch is tested for the presence of heavy metals, harmful bacteria, even pesticide residues before the dried product is shipped to the United States. Then, after it arrives at our formulating facility, it is subject to rigorous quality control procedures, to ensure that your beloved companion is getting only the finest, cleanest kelp found anywhere. And unlike other overpriced brands that market their dental kelp products as some sort of secret formula comprised of “specially selected” kelp species, we are happy to tell you that ours is no secret at all. Why? Because we are honest and our primary goal is to help dogs. Making money is secondary to us. We want to put SeaDent for Dogs into the hands of as many discriminating dog lovers as possible, for the lowest price possible, without compromising quality in any way. Unlike other oral products that employ only kelp as their sole ingredient, SeaDent for Dogs is fortified with five well researched plant enzymes that have been proven to fight plaque and bacteria in the mouth. 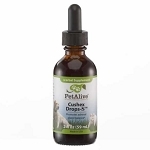 This allows SeaDent for Dogs to attack plaque-forming bacteria in multiple ways: by the systemic activities of the kelp, and by introduction of digestive and antibacterial enzymes that begin working against plaque immediately upon entering the mouth. These enzymes serve to break down various food particles that are trapped between the teeth and under the gum lines. The result: measurable results that happen fast! Lysozyme – This enzyme is present in the saliva of virtually every mammal on Earth, including dogs and their human caretakers. In fact, lysozyme is one of only a few enzymes to be found in a dog’s saliva, and is actually why dogs lick their wounds to speed healing. Unfortunately, not all dogs can produce enough Lysozyme to do an adequate job of keeping oral bacteria in check. Many dogs need more than their body can produce to offset underlying conditions or imbalances caused by diet, old age, or genetic predisposition. 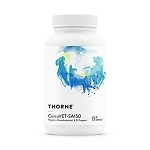 So we have added a safe and reliable measure of lysozyme to assure that your pooch has enough of this naturally-occurring enzyme to supplement his needs. Lysozyme is a small protein molecule that consists of dozens of amino acids. It acts to break down the beta-glycosidic linkage between N-acetylmuramic acid and N-acetyl glucosamine in the peptidoglycan of bacterial cell walls--- causing the bacteria to break apart and die. Lysozyme is especially effective against various forms of gram positive bacteria which are known to contribute to periodontal disease or other infection. The lysozyme in SeaDent is derived from chicken egg whites. Amylase – Although dogs naturally produce varying quantities of plaque fighting lysozyme in their saliva, they do not have the same enzymatic mix in their mouths as we do. In fact, a dog’s saliva lacks many of the enzymes that are needed to effectively break down the various carbohydrates, cellulose (plant fiber), and even some of the proteins that are left behind in the mouth—between the teeth and beneath the gum lines--- after food is swallowed. These particles, if left embedded between the various crevices of the mouth will quickly begin harboring harmful bacteria that will quickly reproduce if left unattended. Amylase, which is derived from various plant materials by a complex scientific process, is very reliable at breaking down the carbohydrates (grains, starches) that are present in many dog foods and treats. And it does this long before the kelp begins to take effect! Derived by fermentation process, using Aspergillus oryzae bacteria. Cellulase – Another digestive enzyme that is derived through fermentation of various plant materials. Cellulase breaks down the cell walls (cellulose) of vegetables and other plant materials. Dogs (and even humans) do not manufacture the cellulase enzyme needed to digest plant fiber and must rely on fermentation by the flora in the large intestine. Unfortunately, this doesn’t help against veggie materials that are stuck between Fido’s teeth, so it must be introduced directly into the mouth, where it will help break down undigested vegetable particles before they lead to tooth decay. Derived by fermentation process, using Tricoderma longibrachiatum bacteria. Protease and Papain – These are enzymes that break the peptide bonds of the various proteins (meat, eggs, etc) that your dog eats, aiding in digestion. While a healthy canine body is well equipped to digest meat in the gut, it does not produce the enzymes that are needed in the mouth to clean up meat particles that are left behind. This is where our plant-derived protease and papain come in--- to break down those particles before they can cause problems. Our papain is derived from papaya. The protease we use is derived from a fermentation process using Bacillus lichenformis. Economical, Safe and Easy to Feed! Feeding SeaDent for Dogs is as easy as sprinkling a very small amount each day onto your companion’s food. It can used with wet or dry foods, and it’s briny flavor is well accepted by even the pickiest eaters! SeaDent costs pennies per day to feed. For a small breed dog our 70 gram jar can last several months! Plus, each bottle comes with its own premeasured scoop, taking all of the guess work out of how much to feed! The safety of kelp and all of the enzyme ingredients in SeaDent for Dogs has been well established by numerous scientific studies and a long history of safe use of all of its ingredients. The only notable contraindication is related to the iodine contained in the kelp. Although iodine is an essential trace mineral that all animals need to support healthy thyroid and immune functions, long term use of iodine-rich kelp may be over stimulating to the thyroid glands of dogs that have preexisting thyroid disease. SeaDent for Dogs is manufactured in Montana by Animal Essentials/Animals Apawthecary, one of the most highly respected leaders of the natural pet supplements industry since 1995. The president and founder of the company, Greg Tilford, is considered one of the premier experts in the field of veterinary botanical medicine and has written five books and dozens of journal articles. He is a well-known international speaker and teacher on the subject.